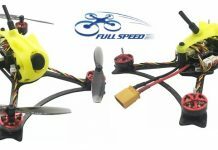 FPV drones come now in all shapes and sizes. Today I will introduce you two micro sized ones from SKYSTARS. While the smaller, X86 Ghost Rider, has wheelbase of 86mm, the X120 Ghost Rider has 116mm. 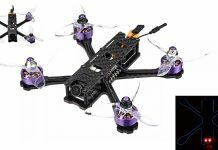 Both quadcopters feature Micro F4 flight controller and brushless motors. The price difference between them is less than 2$. There is no much difference between the SKYSTARS X86mm and the SKYSTARS X120mm in terms of design. Both feature carbon fiber frame, large blade protectors and transparent ghost alike canopy. While in front of the SKYSTARS X86 Ghost Rider is a 800TVL camera, on front of its bigger brother there is a 1200TVL one. Both SKYSTARS Gost Rider drones are available in KIT, PNP, and BNF versions. While BNF version includes radio receiver (FrSky or FlySky), in case of KIT and PNP package you will need to bring your own receiver. All versions require transmitter, battery,charger and FPV screen.